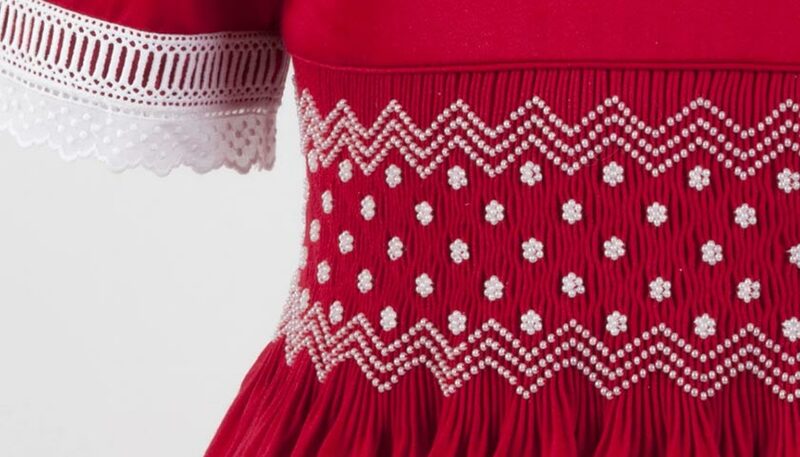 Gail Doane has created a unique and elegant smocked dress using pearls in the smocking stitches. 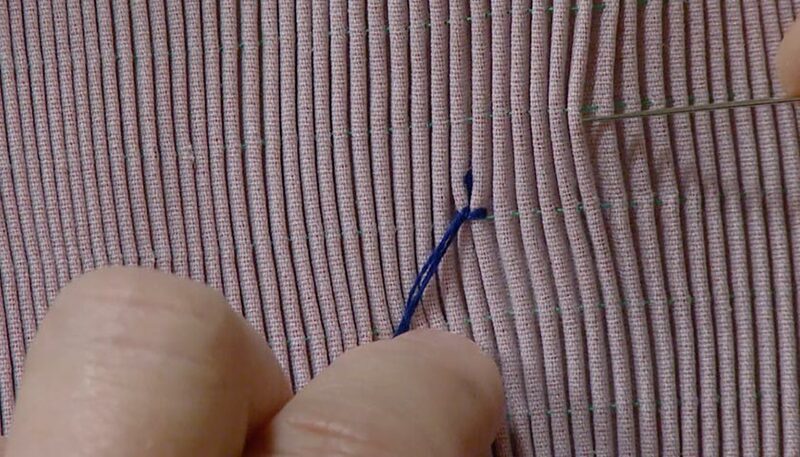 Her eye for detail and precise instructions will give you step-by-step techniques that will guide you through the smocking and construction of this beautiful dress. 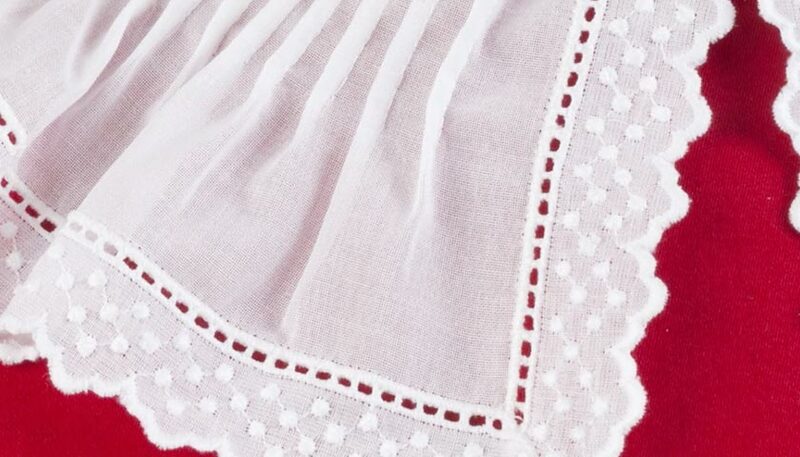 The Swiss voile collar features release tucks rather than traditional gathering. 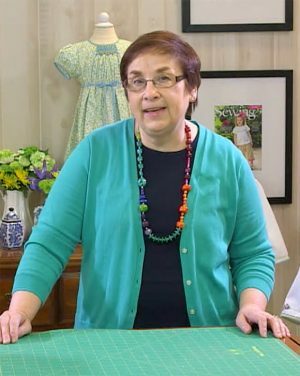 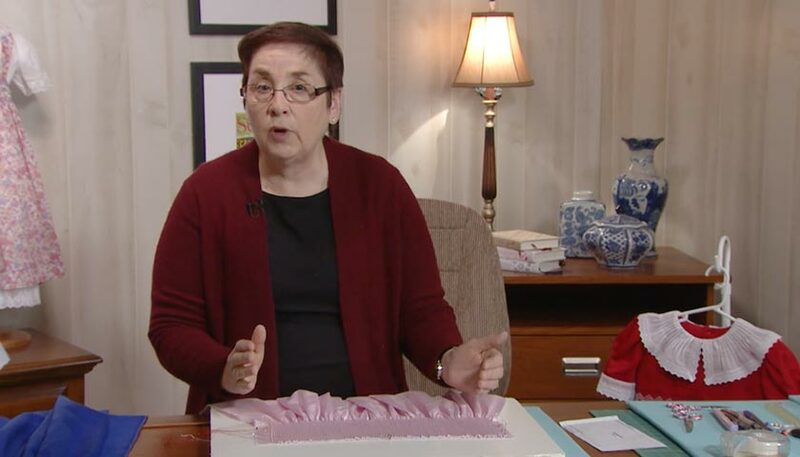 You will love her easy to follow directions for applying trim, working with piping, smocking and smocking with beads, inserting sleeves, creating and tying a beautiful sash, and finishing like a pro. 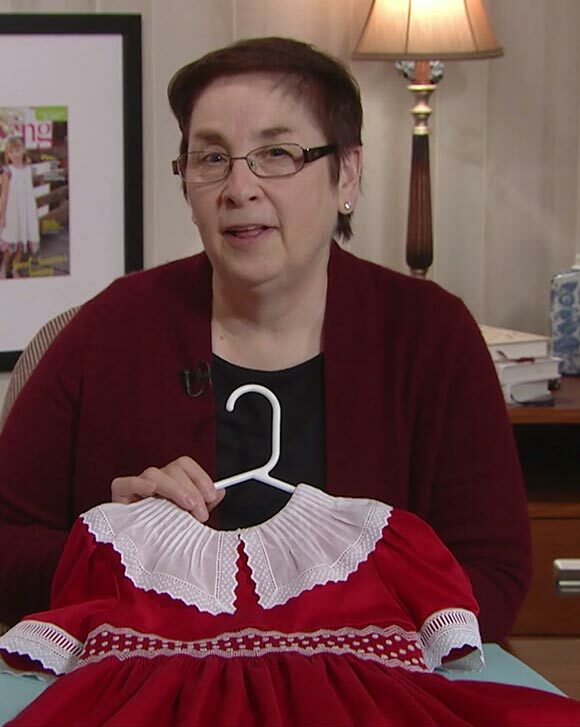 The beauty is in the details and Gail Doane is the master of details in exquisite sewing. 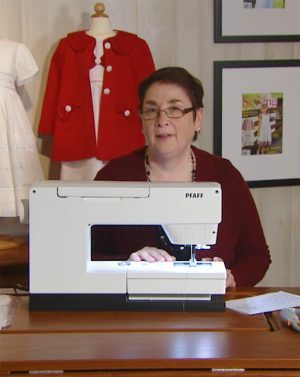 From start to finish, Gail will take you through the construction of the magnificent dress – both hand and machine . 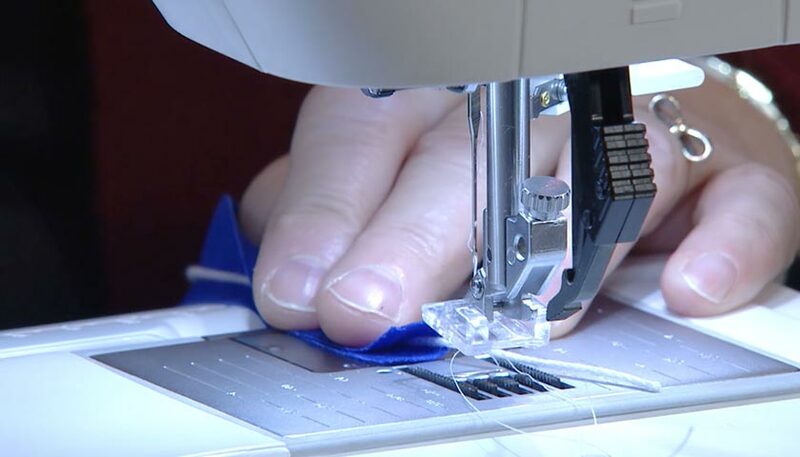 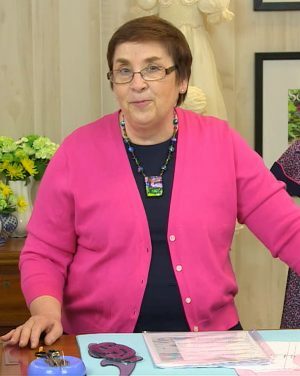 She teaches sewists how to control the fullness in the collar and sleeves giving your garment a professional look. 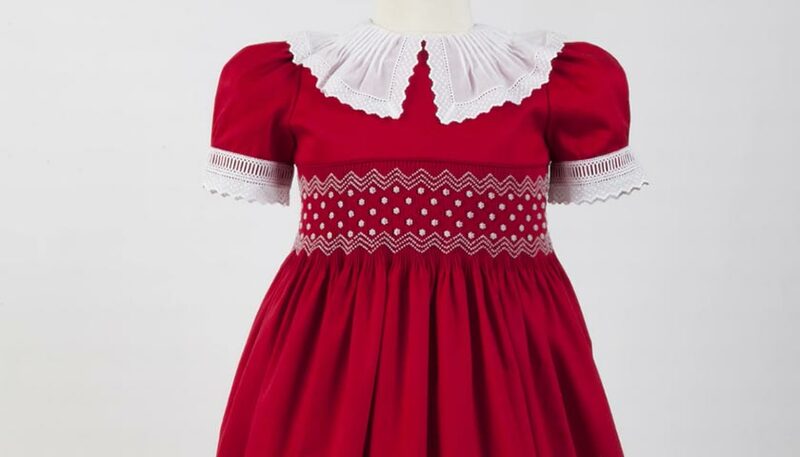 Techniques covered: Release tucks, beaded smocking, entredeux edging, joining with baby piping, thread loop and sash, puffed sleeves with reverse tuck tailoring, Swiss bead Insertion and a very unique hemming technique.